North Walsham's Paston School - North Walsham Guide is created in North Walsham for North Walsham. Sir William Paston opened his free Grammar School in 1606 for the training, instructing and bringing up of youth in good manners, learning and the true fear, service and worship of almighty God whereby they might become good and profitable members in the Church and Commonwealth. 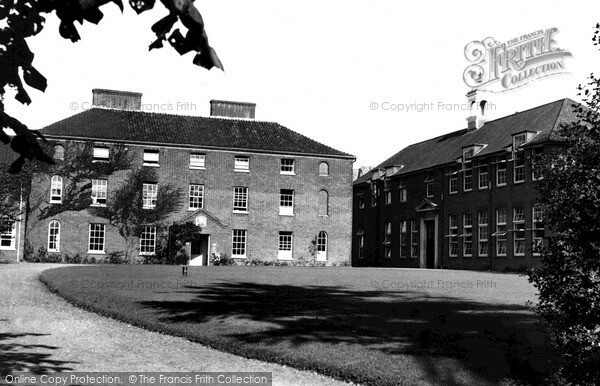 The school grew until the Civil War when the last of the Paston family gave it up, and a rescue bid was made to preserve it. A new School House was built in 1765, the one seen today, and a new start was made. Shortly after in 1769, brothers William and Horatio Nelson came to the school as boarders, and from here, in March 1771, a young Horatio set out on his legendary career. In addition to Admiral Lord Nelson, the school can boast many a fine scholar, including Archbishop Tenison, who crowned Queen Anne & George I. The School is now part of a Sixth Form College for the local area, and the founders elaborate tomb, which he himself had built before he died, can be seen inside the Parish Church. Another interesting footnote is that in the early part of this century an archaeological dig found within the grounds of the school foundations of what were thought to be a small monastery, perhaps the towns cell of the Abbey of St Benets.